Sony's Columbia Pictures has bought the rights to Michael Jackson's last rehearsal footage for $60 million, court documents show. According to E! News, a judge still has to approve Columbia's deal with AEG Live, the concert promoter that was handling Jackson's planned 50-date residency at London's O2 arena, before the studio can make a feature-length film about Jackson's preparation for his comeback. 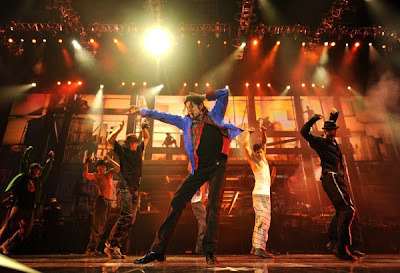 AEG has said it amassed more than 100 hours of footage of Jackson rehearsing in the days leading up to his death. A hearing on the Columbia-AEG deal is scheduled for Monday.